See the Toyota Avalon in the topshot? It’s beige, both literally and figuratively. But that doesn’t make it bad. 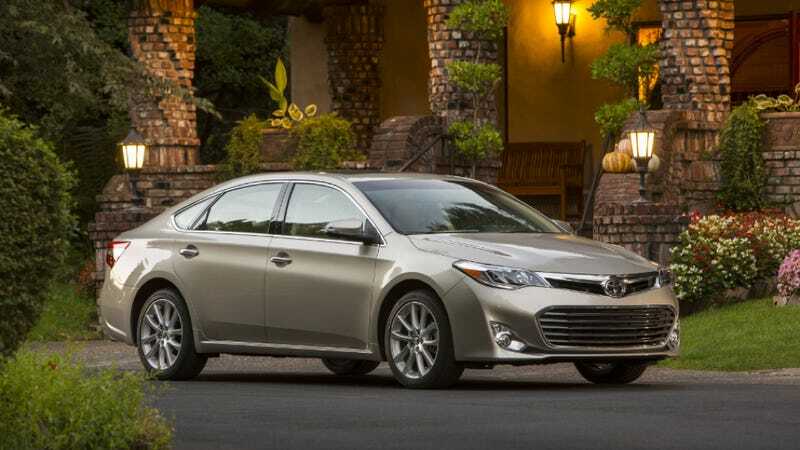 What do you need to know before you buy a Toyota Avalon? Don’t worry, we’ll tell you everything right here in our Buyer’s Guide. Toyota is as plain a car brand can be, and its cars are almost completely stripped of pretension, but this Avalon verges on elegant. So if you’re looking for a cheaper Lexus — something that’s well engineered and very comfortable for daily driving, the Avalon is a choice that you might consider. If you’re okay with beige, that is. The fourth generation Avalon launched for the 2013 model year and brought with it more refinement over the outgoing model. The interior was given a nice update, with better quality interior trim than the old Avalon. The car received more sound deadening materials, making the ride quieter than the outgoing model. New options like heated front and rear seats and three-zone climate control became available for ‘13, and the exterior styling was made more aggressive than Avalons of yore. 2014 brought a few changes to the audio system, and 2015 added paddle shifters and a new Touring Sport Edition. Otherwise, the new Avalon is mostly unchanged from the car that debuted in 2012. Avalons come in eight trim flavors: XLE, XLE Premium, XLE Touring, XLE Touring Sport, Limited, Hybrid XLE premium, Hybrid XLE Touring, and Hybrid Limited. If it were us, we’d skip the hybrids because, frankly, we want the V6’s power.